Blues musicians and brothers Stevie Ray and Jimmie Vaughan have long made Dallas proud with their accomplishments, and the City of Dallas is set to honor them with a public artwork at Kiest Park in Oak Cliff, near the house where they both grew up. The yet-to-be-determined project will pay tribute the Vaughan brothers as important contributors to the history and culture of Dallas. Stevie Ray, who died in a helicopter crash in 1990, is legendary in blues circles thanks to songs like "Pride and Joy" and his untimely early death. 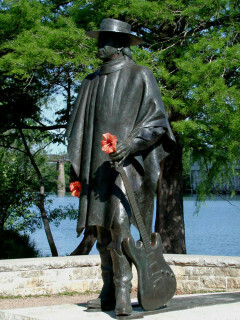 Both Stevie Ray and Jimmie, who was born three years before his brother, are credited with influencing the blues revival of the 1980s after their relocation to Austin in the 1970s. 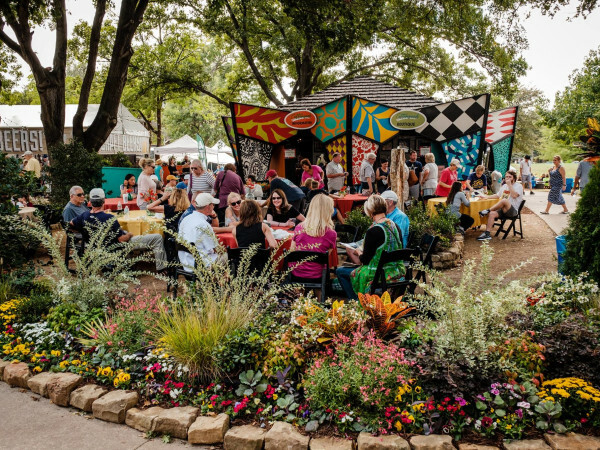 The Oak Cliff Foundation has been able to raise $68,000 toward the project, which convinced the Dallas Park Board to give it the go-ahead. The City of Dallas will contribute $74,000 to the project, money that will come from a 2006 bond program for public art projects in parks. Although the money from the Oak Cliff Foundation and City of Dallas will cover the initial artwork creation, maintenance and administrative costs, you can still donate to the Vaughan Brothers Art Project at vaughanbrosart.com/donate. A call for artists to submit proposals for the artwork will start in summer 2015. The timing of this news is propitious: Stevie Ray Vaughan and his band Double Trouble will be inducted into the Rock and Roll Hall of Fame on Saturday, April 18. Other inductees this year include Joan Jett & The Blackhearts, Green Day, Lou Reed and Ringo Starr.